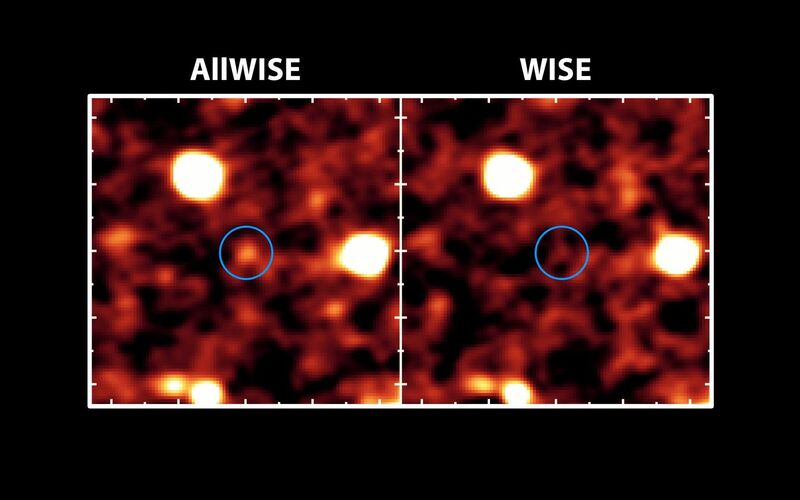 The new AllWISE catalog will bring distant galaxies that were once invisible out of hiding, as illustrated in this image. NASA's AllWISE project is providing the astronomy community with new and improved images and data taken by NASA's Wide-field Infrared Survey Explorer, or WISE, which surveyed the skies in infrared light in 2010. This is the first time that data from the entire mission so far, including two full scans of the sky, has been fully processed and made available to the public. The new catalog includes three-quarters of a billion objects, and will help with studies of nearby stars and galaxies. 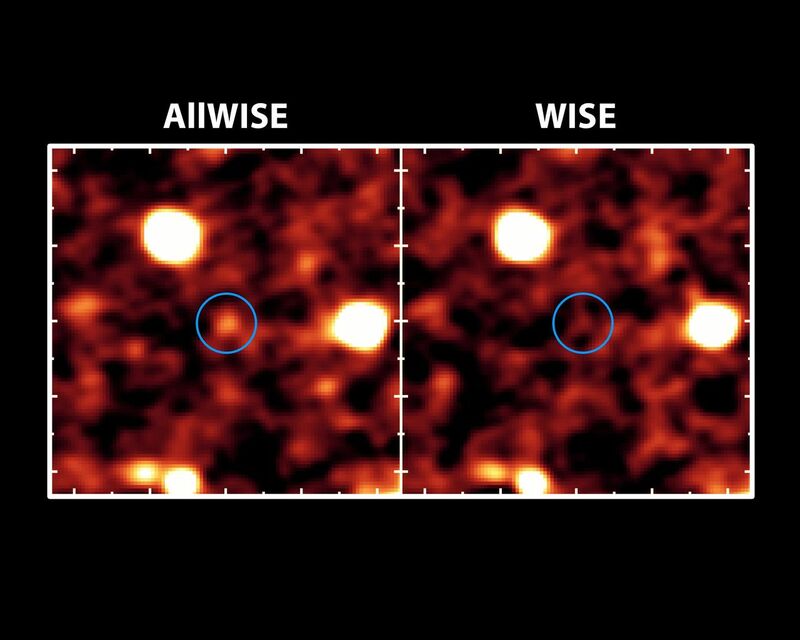 The image on the right shows a portion of the sky available before the AllWISE project; the left image shows the same part of the sky in a new AllWISE image. 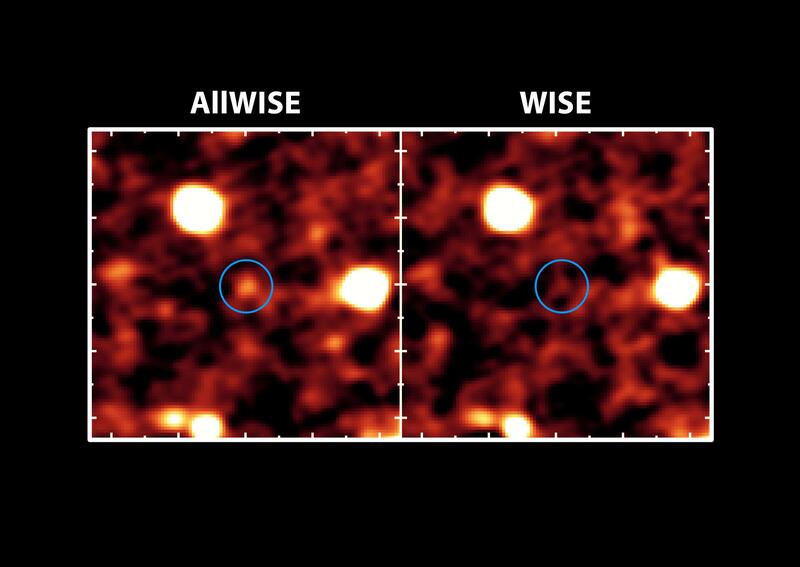 The circle shows where a galaxy that might have gone undetected before now stands out. (The light we are seeing from this galaxy left the object 8 billion years ago, when the universe was only about 5 billion years old.) Images taken during the second sky scan were stacked up, thereby doubling the exposure time and revealing objects like this galaxy. The image was taken at a wavelength of 4.6 microns.